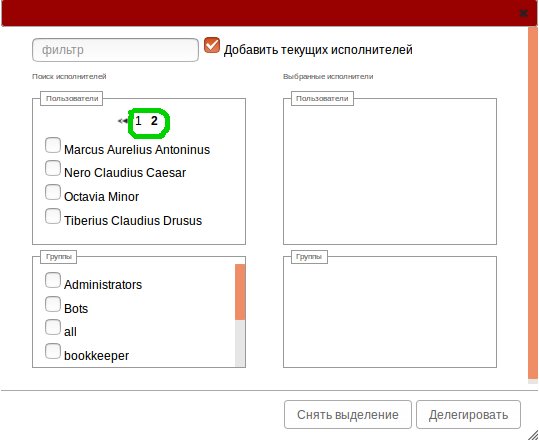 Since version 4.2.0 an option of tasks delegation is added. By default this function is disabled. You can find the parameter responsible for its enabling in web-interface settings (web.properties). Change the value of task.delegation.enabled into true to enable task delegation. You can do it by means of properties override or directly through the web-interface. (menu "Settings -> Web-interface settings", task.delegation.enabled parameter). 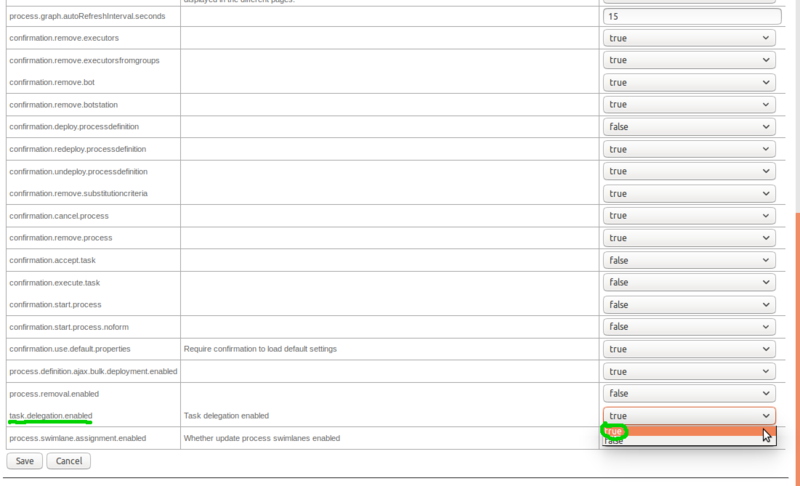 If delegation is permitted, then in the task form under the “Accept” button the “Delegate” button will be displayed. Pressing it will open a window of current task delegation parameters. 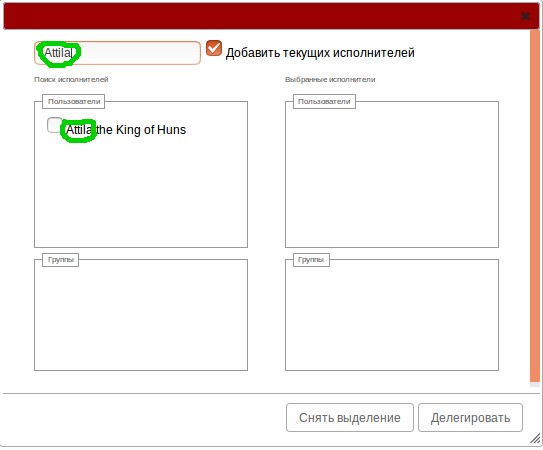 Users and groups for which the user has rights are available for delegation. The selection is made by means of setting a flag in front of the corresponding executor. “Снять выделение” button is for removal of all current executors. Tasks also have an attribute responsible for leaving the task to current executors, i. e. if the option “Добавить текущих исполнителей” is enabled, not only the selected executors will receive the task but also the current ones. Assignment for a role is made by creation of a temporary group, which is assigned for the role (even if it has only one executor). By default the attribute “Добавить текущих исполнителей” is enabled. In delegation parameters window a filter and page-by-page navigation are implemented to facilitate current executors navigation. After selecting the executors to execute the delegation itself you should press “Делегировать”.